Getting our heads around what lies ahead and what we can do about it. In this last month of summer, two events in Hobart highlight a widening, deepening awareness of what climate change will mean as this century wears on. Climate justice is about ensuring that everyone has some protection from the most damaging impacts of climate change and the disruption that comes with building a sustainable society, while also being enabled to take an active part in that transformation. Last week lawyers, philosophers, political scientists and sociologists, the odd scientist and many other luminaries from across Australia and abroad descended on Hobart for Imagining a Different Future, a symposium on climate justice hosted by the University of Tasmania. In the many years I’ve been writing about climate change I’ve attended countless conferences including some excellent ones around human health. But there have been none quite like this one, focusing on the ethics that underlie the reshaping of society by our changing climate. I hope there are more to come. Imagining a Different Future had important messages for all who want to get their heads around the barriers we face in responding to climate change, where concerns about justice and equity are repeatedly being drowned out by the deafening din of populism. While it’s true that politicians continue to ignore those who wrestle daily with climate issues, this was anything but a gathering of do-gooders wailing that no-one is listening to them. Speaker after speaker emphasised that in this long, complex game everyone is responsible. Collective responsibility was underlined in a public lecture by one of the conference’s star guests, US political and environmental philosopher Steve Vanderheiden, author of the award-winning 2008 book Atmospheric Justice. Like everyone else at last week’s conference, I’ve struggled over the years to articulate to myself and others how an individual person should respond to the climate challenge. I’ve usually got around the problem by asserting that the most effective response is to lobby politicians to act. In his Hobart Town Hall presentation, Vanderheiden shifted the focus back to his audience – ordinary citizens wanting to do their bit. He pointed out that people refuse to engage with the climate issue, or become downright hostile about it, because objectives are too big and far away. “What if our individual obligations had a different, more attainable objective?” he asked, and listed things that anyone can do with little effort which, added together, amount to a great deal. Things like reading, observing, listening, supporting science and professional journalism and government institutions, joining with others in cooperative effort, monitoring personal footprints, divesting from the carbon economy, and above all, persevering. Borrowing from the conference’s title, Vanderheiden enjoined us to imagine a different future, and then live it. This may not be music to the ears of your average eco-warrior, hungry for direct and decisive action, but it gets to the heart of the things that are holding us up. We will not win this battle by individual heroic effort, however welcome, but by collective acceptance of a different future. For all that, we continue to need people to step up, speak up and make themselves heard above the din. 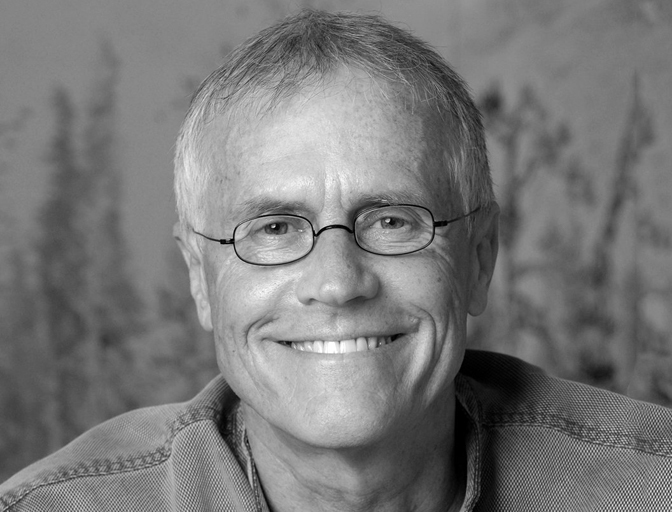 Paul Hawken is a veteran eco-warrior who has been doing just that for many decades. Now he is putting all his considerable skill as a communicator into a new call to arms. Climate justice doesn’t get a mention in Hawken’s new venture, Drawdown, a book touted as “the most comprehensive plan ever proposed to reverse global warming”, yet it is present on every page. There’s reason to be sceptical about the Drawdown blurb. It’s not really a plan, but more a survey and analysis of plausible mitigation methods, and Hawken has been talking for many years about this stuff, to little apparent effect. But to stop there would be to sell short this landmark achievement. Drawing on contributions from 70 distinguished experts, supported in turn by countless more specialists, the book tackles the 100 key elements in getting atmospheric carbon dioxide down to safe levels as soon as humanly possible. Drawdown’s multiple sections each deals with a separate component of global warming, with a calculation in each case of what we can reasonably do to reduce emissions to a safe level by 2050 and, crucially, how much that action would cost and how much it would save in avoided damage. But the book is far more than the sum of its parts. Meticulously edited by Hawken, it is above all a wonderful compendium of pretty well all we need to know about climate change and how to fix it. • TOMORROW, Hobart City is seeking community input on its climate change strategy via two two-hour Town Hall forums (11 am, 6 pm) and a drop-in afternoon session. Register through the Your Say Hobart website; alternatively email rsvp@hobartcity.com.au or phone 6238 2100.